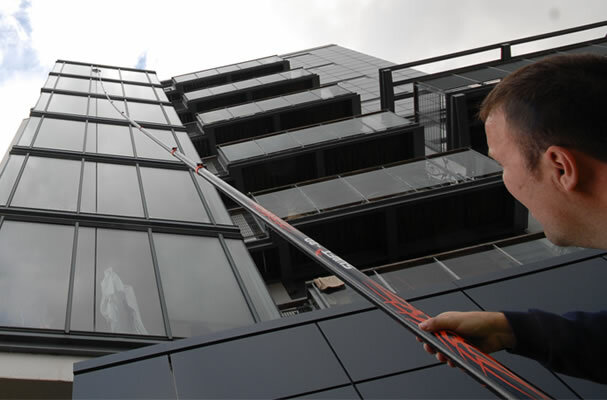 Our window cleaning contracts range from small office buildings through to large commercial, high-rise, office buildings and hotels throughout Dublin and all major towns throughout Ireland. We’re equipped with the latest high-level window cleaning technology – The Reach and Wash Thermopure System – which is a water fed pole system. No ladders are required thus saving time and increasing efficiency, while reducing risks to the window cleaning operator. Our window cleaning service rates are very competitive as we can eliminate excessive insurance premiums associated with regular cleaning services.